London: Zookeepers say a group of chimpanzees used branches weakened by a storm to make a ladder and escape from their enclosure at the Belfast Zoo. Video filmed on Saturday by visitors to the Northern Ireland zoo showed several primates scaling a wall and perching atop it, with one walking down a path outside the enclosure. 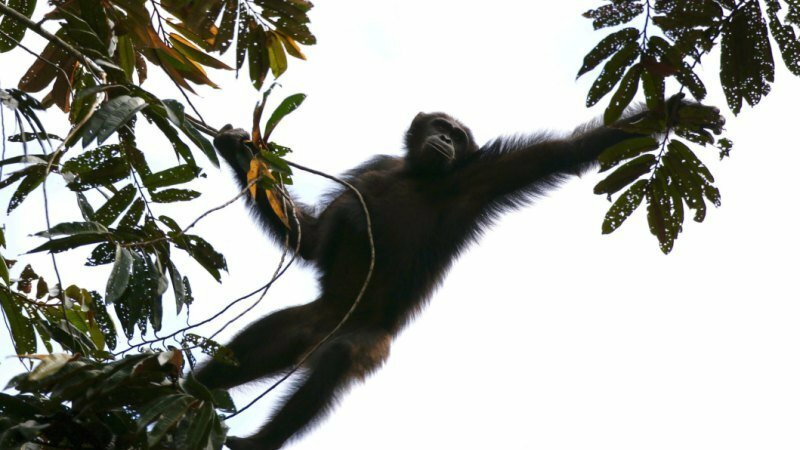 Zookeeper Alyn Cairns said trees in the chimps' enclosure had been weakened by recent storms, allowing the animals to break them and fashion a ladder to escape. He told the BBC, "They're intelligent primates and know they're not supposed to be out of their enclosure, so got back in themselves."